Tailorbirds always take a lot of time and luck to see and photograph. They are masters at hiding and moving quickly. We have always heard this bird on our trips. We see movement but never anything satisfying. It is also difficult to tell the Philippine from the Grey-backed Tailorbird. They look and sound alike. When we were with Nicky in Sierra Madre he gave us a positive ID of a Philippine Tailorbird so we finally got to tick this bird. In Negros (September 2011) one of them posed long enough for some photos. It is a little strange that it took us such a long time to get a photo of this bird we hear all the time. There are 5 races of this species. We can confirm seeing three of them, the first chloronotus in Northern Sierra Madre near barangay Sawa and the second rabori in the Twin Lakes area of Negros at 900 meters. The third race we have seen is frontalis aka Rufous-fronted Tailorbird. We saw this bird in Surigao del Sur. 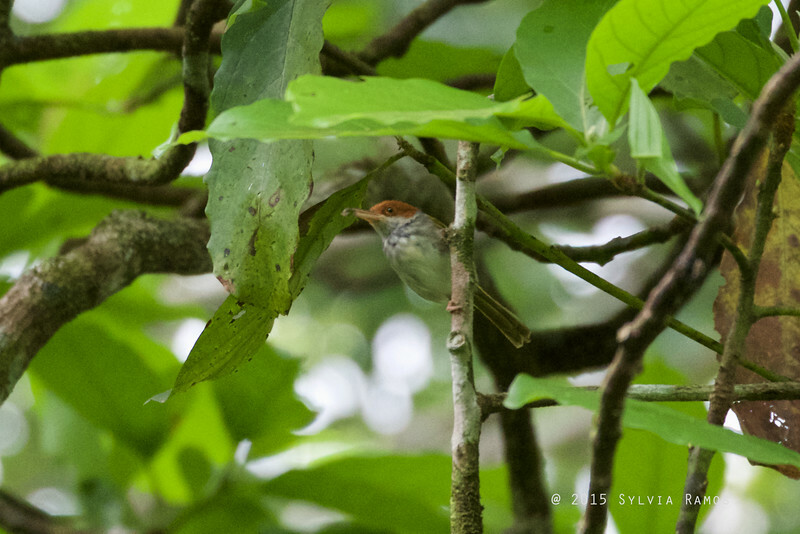 Some people consider this a separate race from Philippine Tailorbird.